You will likely catch as many or more fish with us than many fishing lodges or fishing resorts! 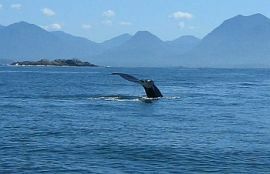 Ucluelet is one of the top summer destinations on the coast and continually out-produces many popular areas. 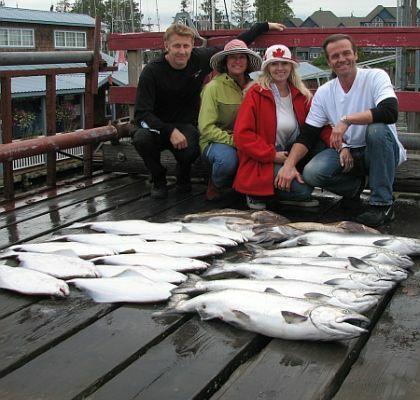 During winter months check out our Victoria fishing charters. If you decide you want to stay at a fly in resort on the north coast, check out Discover Vancouver Island Tours. Fishing resorts and lodges often fly you in to fish. With us, you can drive to the destination and stay at a nice resort, condo or house close to the dock. Just as with resorts and lodges, we offer fishing packages that include resort accommodation, fishing, fish cleaning and vacuum packing. You get this, plus personal service and experienced fishing guides, all for less cost. When you stay at a lodge your trip is all inclusive. This means if the weather is bad for a few days and you can’t fish you still pay the same price. With us you don’t pay for not fishing! We very rarely have to call off fishing during summer months in Ucluelet and miss fishing about 2-4 days from May to mid-September. During winter months weather is harder to predict and one of the reasons we fish Victoria. At most fishing resorts or lodges, you fish from 15-18ft boats. 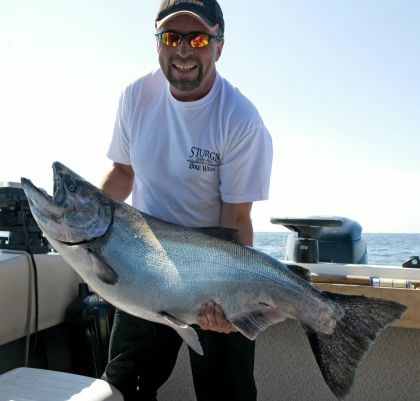 With Salmon Eye Charters, you get experienced guides, with 25-29 ft boats. Our boats are all covered and offer toilets, so there are no painful moments waiting to get back to the dock. At Salmon Eye Charters, you’ll have a relaxing schedule compared to a fishing resort. We usually leave the dock around 6 a.m. and get back around 2 p.m. If you think that’s not enough fishing time, don’t worry! We usually have action-packed fishing and by the time you return your arms will be sore from all the reeling. You can also have a paid option to keep fishing that must be organized before the trip, but this is rarely done or needed! Ucluelet has not seen the decline of fish stocks that has affected other areas around British Columbia and Alaska. We are still going strong. If you want to fill your tub, we are the people to fish with. We are just a short trip across Vancouver Island – a few hours and then you are into some beautiful fishing. Victoria winter fishing is some of the best on Vancouver Island, so if you can't make a summer trip from Ucluelet, you can still have some fun here. You can go offshore or fish the protected waters of Barkley Sound and enjoy some incredible scenery. After fishing,you can relax on the deck with an ocean view, dine at one of the nearby restaurants, or visit the many local beaches. After one visit, we think you’ll agree that fishing with Salmon Eye Charters, out of Ucluelet BC, is one of the best salmon and halibut fishing experiences out there! Check our fishing packages for an action packed fishing trip!